The social trading phenomenon has become extremely widespread among retail FX brokers over recent times, with advantages for brokers that volumes generated by new traders can be boosted significantly. On the institutional side however, there has been less requirement for such a facility, due to the more corporate nature of this particular sector. Today, however, social trading provider Tradency has entered into an alliance with CFH Clearing in order to integrate the company’s interbank clearing technology with Tradency’s Mirror Trader platform to provide brokers with an effective combination of front end and back end technology. 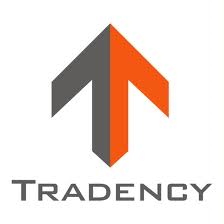 One of the main factors which led to this alliance was, according to Tradency, the increased international demand among clients of retail brokers internationally, therefore Tradency is embarking on establishing cooperation with top tier back-end providers in order to make mirror Trader available for everyone. Nadav Levi, Tradency’s Marketing Director, further explained the rationale behind this to Forex Magnates today: “CFH systems are suitable for several types of brokers. Brokers who are using CFH systems and also offer fx retail trading platforms or those that want to add retail services to their offering, will now be able to offer the Mirror Trader platform as well. “The business model between Tradency and CFH retail clients will be the same as with other brokers” said Mr. Levi. Common practice within the retail sector when establishing relationships with copy trading providers, is to either build in the remuneration due to the copy trading provider to the spread by increasing it slightly if the broker is a market maker with a dealing desk, or to add it to the per-lot commission if the broker is using an STP model and not operating a dealing desk. In this case, as Tradency is providing its service to CFH Clearing which is a prime interbank liquidity clearer, a different model has to be implemented to ensure suitability to all participants in the market, and retain competitive spreads and liquidity flow. In this case, both sides are charged separately agreed commissions, which are made 100% transparent and are agreed to at the outset, although, at this stage Tradency were unable to provide actual figures. The company further explained to Forex Magnates that in this particular corporate strategy, it aims to target existing and future Tradency clients that are looking for interbank liquidity, as well as all existing and future CFH clients looking for Tradency’s Mirror Trader’s capabilities. At the same time, as a premier institutional prime of prime broker, CFH Clearing is focusing on facilitating interbank access to the professional space. According to Tradency, CFH clearing is responsible for more than $1.5 billion in interbank credit lines, making it an important interbank STP venue. “Brokers who integrate with CFH and Tradency will enjoy traders’ loyalty and will be able to utilise the Mirror Trader’s customisable capabilities to differentiate themselves in the competitive market” concluded Mr. Nabat. Given the proliferation of copy trading platforms which target relationships with retail brokers and are remunerated by a similar method to which an Introducing Broker receives revenue share, and the competitive nature of such relationships, especially when bearing in mind the need for low spreads and the reduced margin that comes as a bi-product, as well as the recent debacle in which MetaQuotes issued a warning to brokers against the use of four copy trading platforms to which Tradency responded by ceasing its relationship with MetaQuotes, diversification into the institutional liquidity sector is an interesting move indeed for Tradency.